Customize, "Brand", Embed RockDaisy to deliver data in a consistent look and feel. Real-time data access. If your developers know SQL they know RockDaisy! UI/UX we’ve all come to expect from our smart devices, with no additional coding required. Create a true "story-telling" experience by passing parameters between dashboards & reports. Our sql implementation toolkit is optimized for ease-of-use, so junior IT staff can help you get from SQL to insight in days, not months. The RockDaisy user experience is likewise optimized for ease-of-use, so non-power users can make changes to their dashboard on the fly to answer a question or pursue a line of thinking. Truly Self-Service. End Users can just point and click on reports they want. Whether it's building, sharing, or saving reports, the user friendly experience ensures less is more. existing reporting solution is too complicated to use by your decision makers. development cycles take too long to create and update reports. UI/UX options are currently limited and you'd like a more customized look and feel. It's just SQL! If your developers know SQL they know RockDaisy! The first app to bring an iPhone-like User Experience to data visualization! Our toolkit allows you to fully design the User Interface! Allowing your users to stay engaged in a completely branded UX environment! RockDaisy's data analysis & visualization platform is the most streamlined and user-friendly platform available. Request a free 14-day trial, and experience the difference for yourself. You will receive an email within 24hrs with information on how to get started. A RockDaisy representative will contact you within 24hrs to schedule a demo. Startups, Consulting companies and Raw data providers seeking to customize their data delivery without spending months or years building their own platform. Fully-customizable platform - to present data and distribute information swiftly and easily. Exposure to RockDaisy clients in NFL, NBA, NHL, MLB, as well as the NCAA and global media brands. 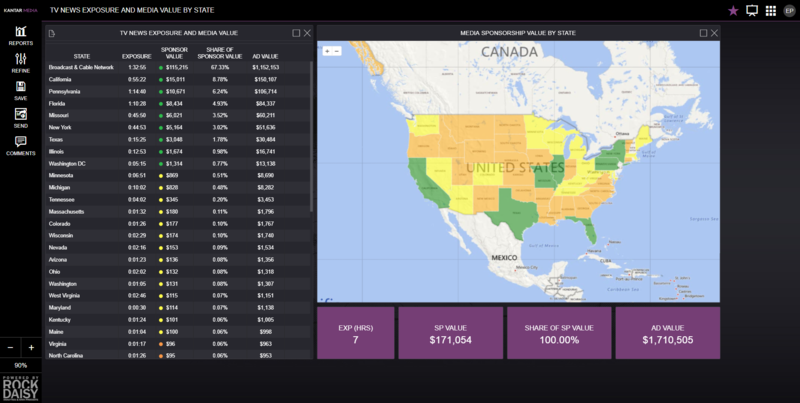 Use drag-and-drop, point-and-click technology to easily customize dashboards and display your data how you want it. No Training needed for your decision makers to use RockDaisy. Our customer success managers work with your IT staff to configure and fully customizes RockDaisy's platform quickly and efficiently, so you're up and running in hours. Pre-build reports in RockDaisy that your Users can choose from! No need to bother your developers for custom dashboards! Expand your reach with RockDaisy. Our simple, drag-and-drop technology allows you to collect, sort and categorize your data instantly. We help you connect with the greatest number of leads in the fastest amount of time. RockDaisy's video integration tool makes your media more accessible. Why scour multiple databases in search of video, documents and images? RockDaisy's fully-integrated platform synchronizes all of your media into one easy-to-find location, and turns tracking and analyzing data into an efficient, hassle-free experience. Visualize players, ball, puck movement and accuracy on court, field, etc. Create your own custom player cards that include the most important metrics, colors, head-shots and logos. 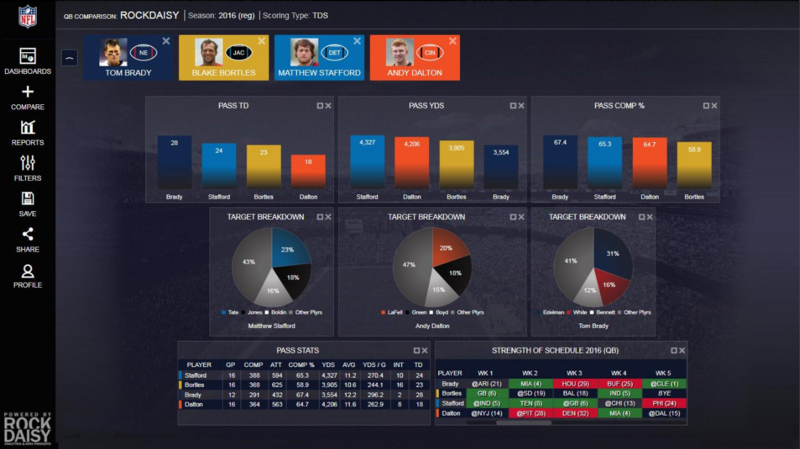 Create your own custom team cards that include the most important metrics, colors and logos. Drag and Drop boards to track player movement. Drag and Drop boards to track starters and backups categorized by position. Includes the most popular entry forms for Athlete Mgmt. Including health and wellness forms, injury reports, and more. 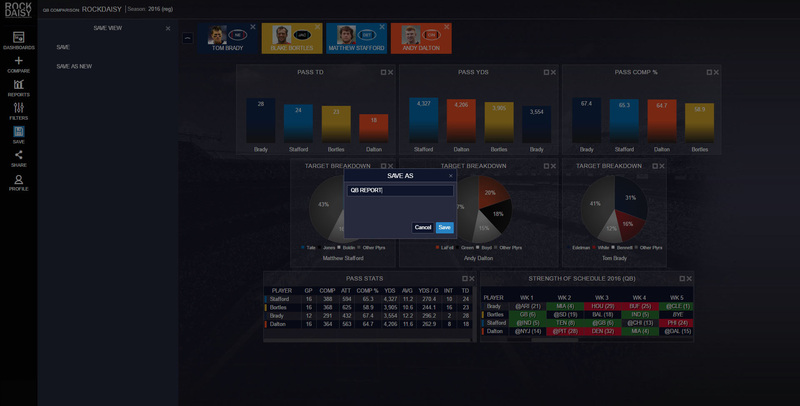 Includes contract entry matrix and dynamic player search. Integrates your data with with the most popular video solutions including XOS, DVSport, TVTI, YouTube and many others. Interactive maps to track games, travel, scouts and players. Track game, practice, tryout and training schedules. RockDaisy is fast and easy to implement, even for teams with a small or junior IT staff. It's easy to manage and maintain, and its highly intuitive, easy-to-use UI means you can interact with, filter and drill down into your data without technical support. RockDaisy is the perfect solution for both management and coaching staffs, helping you improve performance at the gate, on the bottom line and on the field. Our only objective is your success. The data and analytics experts on our professional services team can help you get set up and going, compressing time to value and accelerating your ability to see, understand and use your data. We offer you the flexibility to integrate RockDaisy into your internal applications using industry standard HTML or CSS. You get all the advantages of RockDaisy, integrated into your internal portal and combined with your team identity and brand. 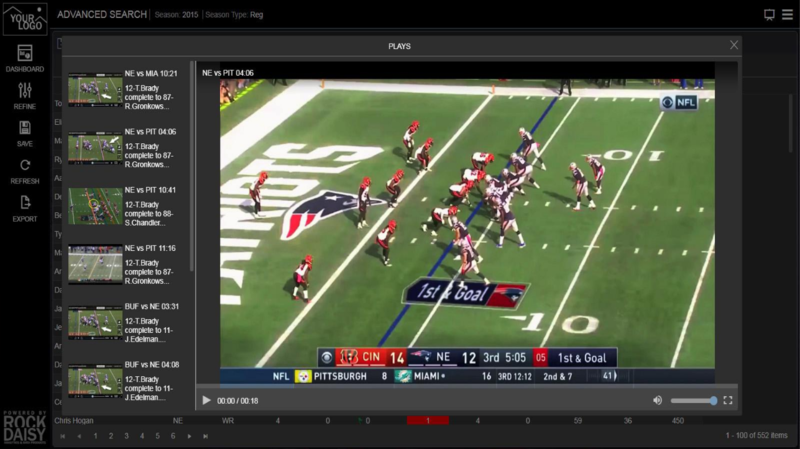 RockDaisy easily integrates with the most popular sports video editing solutions including XOS and DVSport. RockDaisy's fully-customizable user interface allows you to white-label your platform so it looks and feels like a finished product. No more generic "off the shelf" interfaces with a company logo slapped on. In today's evolving digital landscape, companies need to ensure that every single touch-point interacts as a cohesive part of their brand's overall multi-channel marketing strategy - exactly why white-labelling is such a sought-after solution. Organization is the key to a strong logistical operation. RockDaisy's streamlined, point-and-click technology makes it easy for anyone - even non-IT personnel - to assemble and arrange systems of data neatly and efficiently. Find out how our platform can help bring structure and coordination to your company's internal planning and operations management. Sales funnels are long and winding, which makes constructing and interpreting them difficult. RockDaisy's platform has the power to unwind your sales funnel before your very eyes. 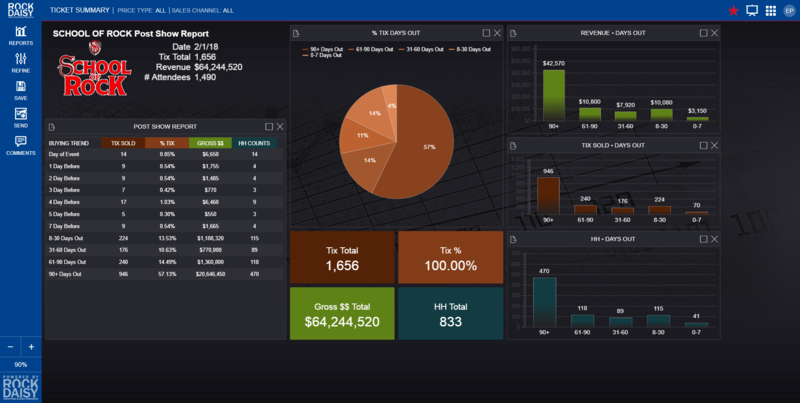 Our streamlined user interface allows you to see and understand your data in a way that no other data delivery and visualization platform can offer. Sales is an arduous journey; let RockDaisy clear the path. RockDaisy unlocks the value in your data by transforming SQL into beautiful, shareable interactive dashboards. 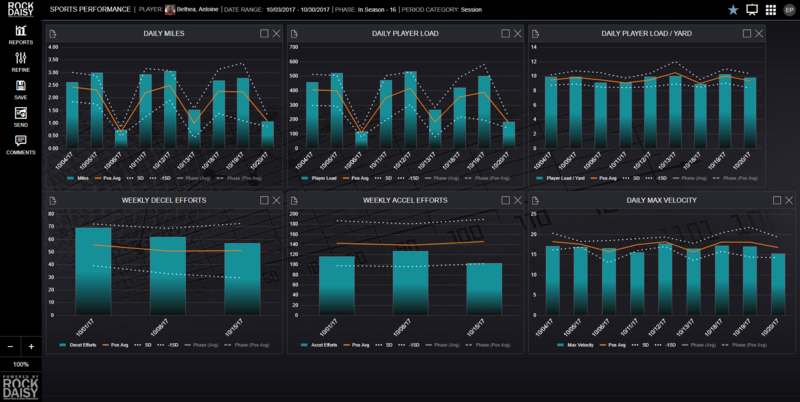 So you can visualize patterns, spot financial and athlete performance trends and understand the meaning of your data. 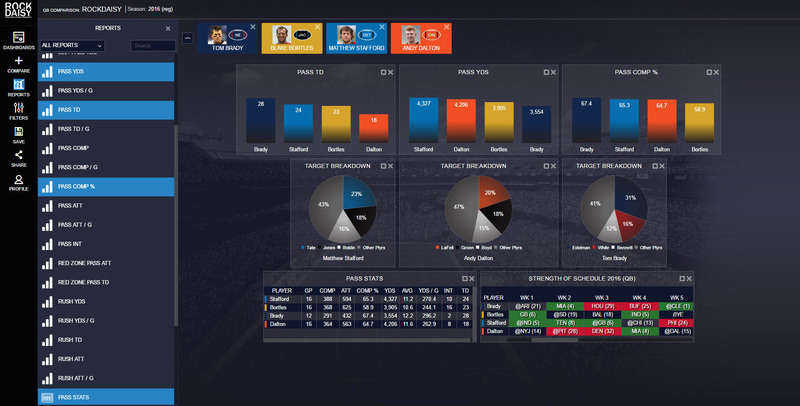 Our founders are data analytics architects and engineers with broad and deep experience in the National Football League and also in business. They didn't play the game, but helped improve the performance of the game's general managers, coaches and players. 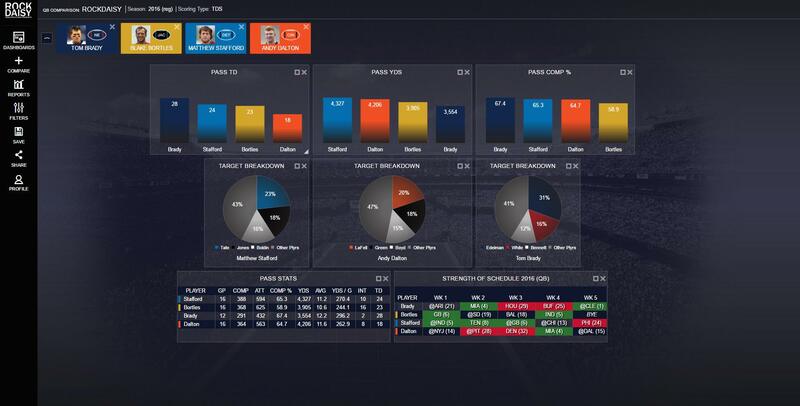 Today, the analytics and visualization tools they built are used by NFL management, all 32 NFL teams and also teams in the National Hockey League and the National Basketball Association. RockDaisy's solution is also used by customers as diverse as Microsoft, J. Walter Thompson, NatGeo, Cognosante Health and America's largest municipal law enforcement agency. Chris Tanck has deep expertise in data visualization and analytics, and in helping sports teams use data analysis to improve their performance at the gate and on the field. Prior to co-founding RockDaisy, he designed and developed the National Football League's first big data analytics platform to inform on-field statistics, player contracts, salary cap modeling, ticket sales, digital media sales and for optimizing athletic performance. That solution, used by each of the NFL's 32 franchises, also powers the statistics and graphics packages used in NFL broadcasts. Since co-founding RockDaisy, he has worked with sports franchises in professional football and hockey. He has also helped leaders of SMBs and data publishers make better and more informed business decisions. Chris has presented at NFL league ownership meetings and was a featured presenter at the 2014 MIT Sports Analytics conference. Elvis Pereymer is a technology leader and data analytics architect with deep experience in business intelligence, multi-dimensional databases and data modeling. Prior to co-founding RockDaisy, he transformed the National Football League's data system into a game analysis solution incorporating real time player data and video. 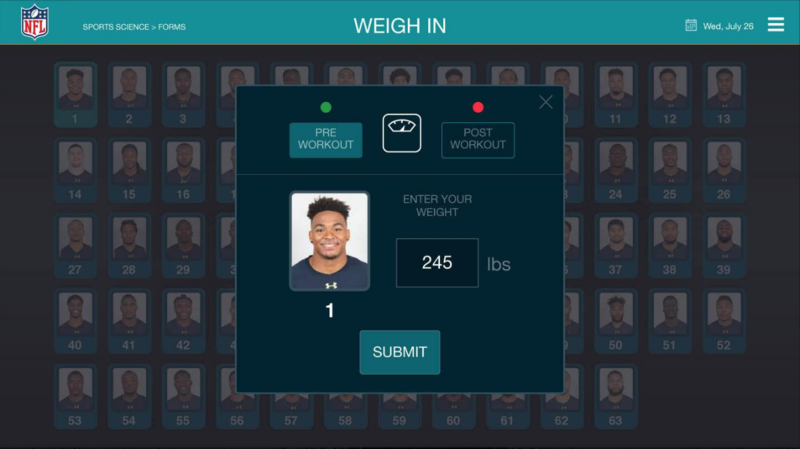 The solution is used to conduct prospect scouting and player evaluations. 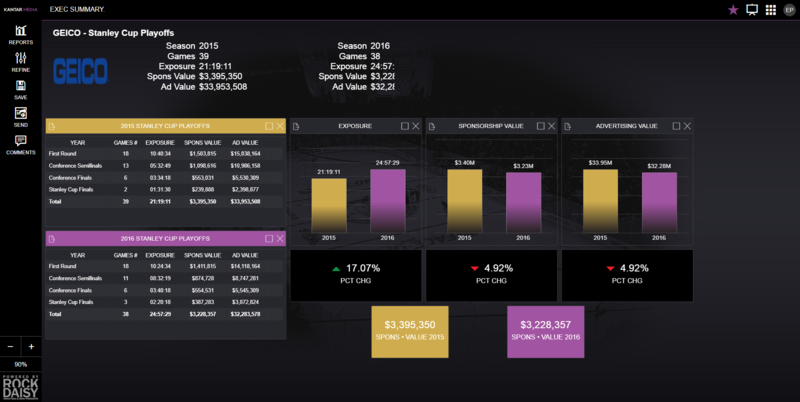 Elvis co-developed the NFL's ticket analytics system to inform sponsorship opportunities and provide benchmarking data across venues, teams, categories and geographies. The system provides deep insight into gate receipts, attendance and ticket sales from Ticketmaster and secondary market sources including StubHub and Ticket Exchange. He's also built data warehouse and reporting solutions for companies including Mimeo and the Princeton Review, and data extraction tools for use with Salesforce, Microsoft Dynamics and other big data sources. He holds a patent for building and modifying database-driven forms used across intranets, extranets and the Internet. Built by data experts, our background in working for some of the top organizations in the world has resulted in a data visualization solution that works across a wide range of industries. Click one of the categories below to see how RockDaisy can work for your organization, and sign up for a Free Trial and/or Demo today!